Jacklin's Fly Shop and Guide Service is the closest fly shop at the west entrance to Yellowstone National Park. Our shop is a full service fishing pro shop stocked with all the top fly fishing gear, spinning and lake fishing tackle. We have a large selection of wading gear and outdoor clothing and the largest fly display in the area. Over 64 square feet of top quality flies. Here at the shop we are vendors for Montana and Yellowstone Park fishing permits. We offer a mail order service for flies and tackle and ship merchandise all over the country via UPS and US Postal Service. Over 45 years of continuous service to the fishing community. Bob Jacklin is proud to be West Yellowstone's oldest continuously owned and operated guide service and fly shop. Bob is a guide, outfitter and fished the West Yellowstone area for over 45 years. 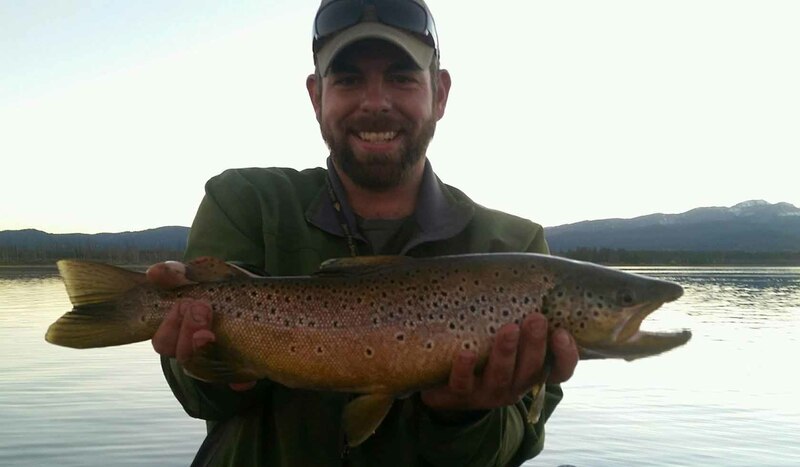 We have assembled the finest cadre of fly fishing guides in the Yellowstone region. We offer a complete guide service which includes walk/wade and river float trips. Our guided trips are designed for one, two, or three people and a guide. We also offer seminars and clinics for small groups who would like to have personal instruction in fly fishing as a group. Our guides are not just people to show you where to fish, they are professionals at teaching the finer points of fly fishing and instructing the art of fly casting. Each and every one of our guides is dedicated to making your fishing trip, not only a great fishing day, but seeing that you have and enjoy the total experience of western fly fishing. A day on the river with one of our pros is a day you will remember forever. Whether you are a seasoned fly fisherman or a beginner wishing to learn the rudiments of fly fishing, our professionals will assist you in every aspect of the world of fly fishing. Here at Jacklin's we are licensed to guide and operate in Montana and Yellowstone National Park. Our guides are also licensed under a special use permit for the Gallatin National Forest. FREE fly casting lessons Sunday evenings all summer at 7:00pm, everyone welcome.